Portrait of Richard Harding Davis, 1880? 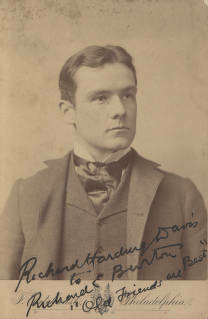 Richard Harding Davis entered Lehigh in 1882. A general literature major, Davis became the editor-in-chief of the student newspaper, The Lehigh Burr. In 1884, with help from his family, he self-published his first book, Adventures of My Freshman, a collection of short stories he had written for The Lehigh Burr. In 1885 Davis left Lehigh to attend Johns Hopkins University. He went on to become a popular writer and war correspondent.